Pupil of the violinist Glauco Bertagnin, at the age of 19 she graduates privately at the Conservatory “Benedetto Marcello” of Venice. She specializes then in Switzerland with Massimo Quarta, at the music school of Lugano, and with Ilya Grubert at the "Fondazione Musicale S.Cecilia" of Portogruaro. Since 2010 she also is studying with Stefan Milenkovich. 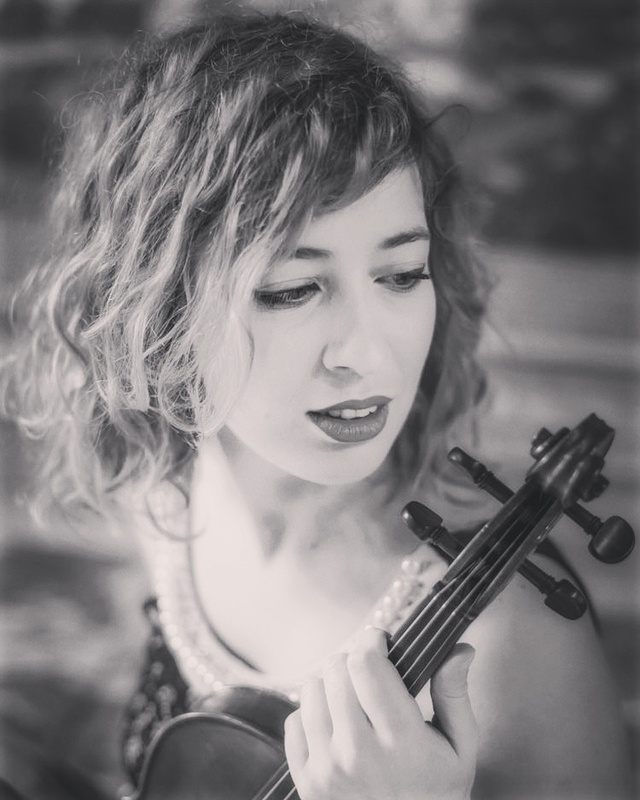 She participated to various master courses held by violinists such as Lucio Degani, Enzo Ligresti, Caterina Carlini, Mariana Sirbu, Eliot Lawson and concerning chamber music, with the "Trio di Parma" and Konstantin Bogino. She performs in many national and international concert seasons, working with various orchestras: the Chamber Orchestra Fadiesis, the Orchestra Dolomiti Symphonia of Belluno, the Orchestra La Serenissima of Sacile, the Orchestra of the Music Conservatory of Venice, the New Chamber Orchestra Ferruccio Busoni of Trieste, the Music Academy of San Giorgio in Venice, the Orchestra I Filarmonici Veneti of Legnago, the Orchestra Filarmonia Veneta, the Chamber Orchestra Gaetano Zinetti of Verona, the Orchestra I Solisti di RadioVeneto Uno of Treviso, the Orchestra I Virtuosi Italiani of Venice, and the Italian Orchestra Ritmico Sinfonica conducted by Diego Basso, where she participates also to various Italian TV productions. She is part of many different chamber music ensembles: Duet with the pianist Stefania Fassetta, Trio with the cellist Giuseppe Brutti and the accordionist Ginni Fassetta, the ArTime String Quartet, the String Ensemble “Le Putte di Vivaldi” of Venice , the "Musici di Vivaldi” and the ensemble "Venice Music Gourmet".